To raise funds for the Aislinn Adolescent Addiction Centre, Fergal Somerville swims the North Channel. 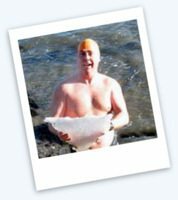 On Tuesday, 10 July, Fergal Somerville will attempt to swim the North Channel; the stretch of water between Ireland and Scotland. Weather and conditions permitting he will set off at 6:40am from Donaghadee on the North Down Coast and head to Portpatrick on the Scottish coast; a straight line distance of 30Km. 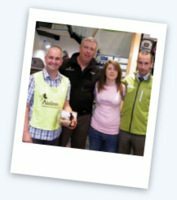 Fergal is attempting to raise much needed funds for Aislinn, the Adolescent Addiction Centre. This is Fergal’s 3rd solo distance swim, having swum from Inis Meáin (Aran Islands) to Rosaveel (Co. Galway) for the RNLI in 2010 and England to France for Cystic Fibrosis research in 2011; raising over €25,000 in total. Impressed? Last September he became one of 51 Irish swimmers to have successfully swum the English Channel. Since 1875 a total 1,200 swimmers from around the world have made a solo swim across the English Channel. This year he aims to join one of the sea-swimming world’s most elite groups; “North Channel swimmers”. So far, 90 individuals have attempted and 13 have succeeded. The North Channel is rightly viewed as the most difficult of all channel swims. Not only is it colder, rougher and more tidal than the English Channel, it is populated, some say polluted, by jellyfish. (Swim times, to date, range from 10-19 hours). Go to Fergal’s blog for more up to the minute tracking information and details on how to make a donation.